CertainTeed Roofs - Performance Roofing, Inc.Performance Roofing, Inc.
Our certification as a CertainTeed Master Shingle Applicator gives you many advantages when you choose Performance Roofing as your roofers, Portland or Portsmouth. Master Shingle Applicator is the highest level CertainTeed roofing certification, and represents premium standards of excellence, quality and knowledge in the shingle roofing industry. This makes Performance Roofing one of the only roofing contractors Portland and Portsmouth has who can offer top quality CertainTeed products, and back them with CertainTeed’s industry-leading warranties. To become a CertainTeed Master Shingle Applicator, Performance Roofing had to show extensive knowledge of shingle installation and quality through rigorous testing. We have also provided CertainTeed with proof of workers’ compensation and liability insurance. Only a CertainTeed Master Shingle Applicator like Performance Roofing can offer you the highest level of SureStart PLUS™ extended warranty coverage when a CertainTeed Integrity Roof System is installed on your home. A quality roofing system involves more than just the shingles you can see. It also incorporates the underlayment, accessory products, and ventilation that work together to protect your home and family. Performance Roofing installs the entire system of CertainTeed roofing components that together create a strong and durable roof for your home. The CertainTeed Roof System is designed to provide optimum performance in all weather conditions. This includes WinterGuard™ waterproofing underlayment, Roofers’ Select™ underlayment for a secondary leak barrier, and high quality shingles in a variety of styles and colors. 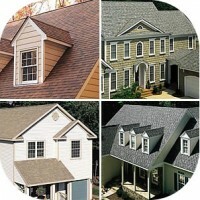 Would you like to see what your roof will look like when it is complete? Using CertainTeed’s helpful ColorView™ (http://www.certainteed.com/colorViewLanding.aspx) technology, you can “see” what you roof will look like once Performance Roofing has finished.